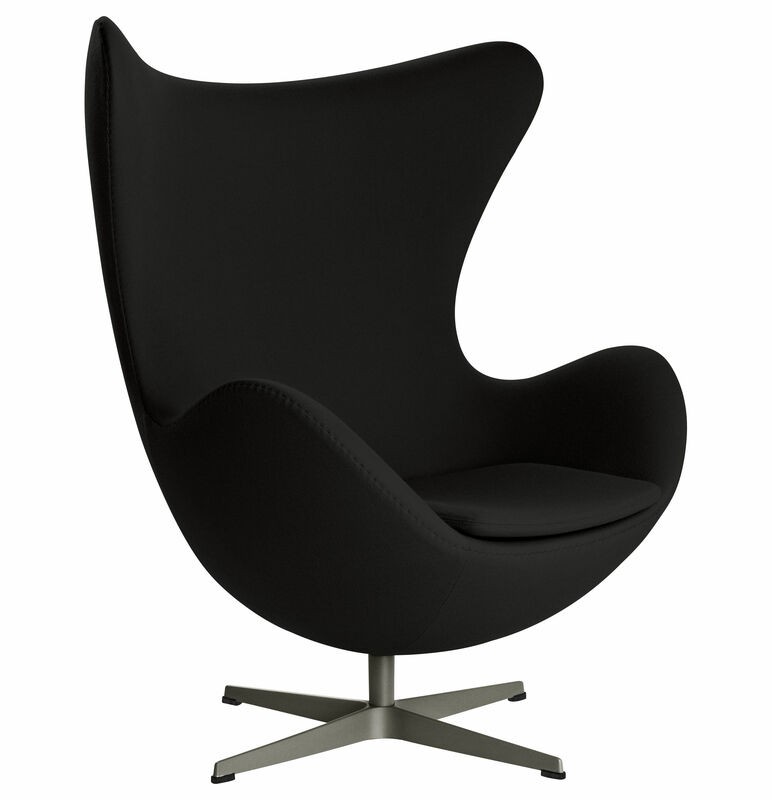 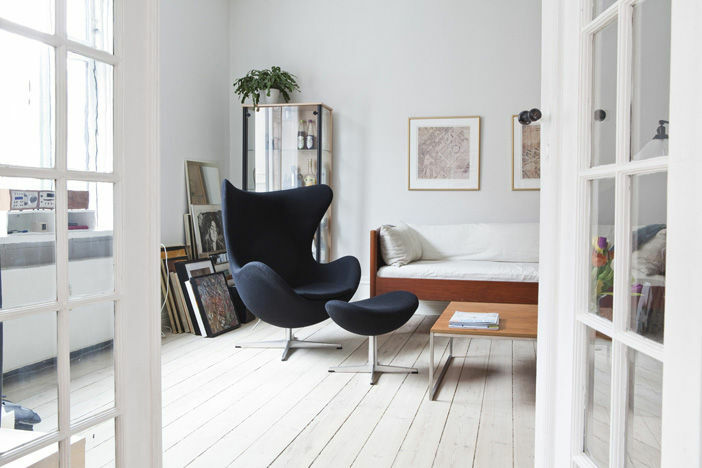 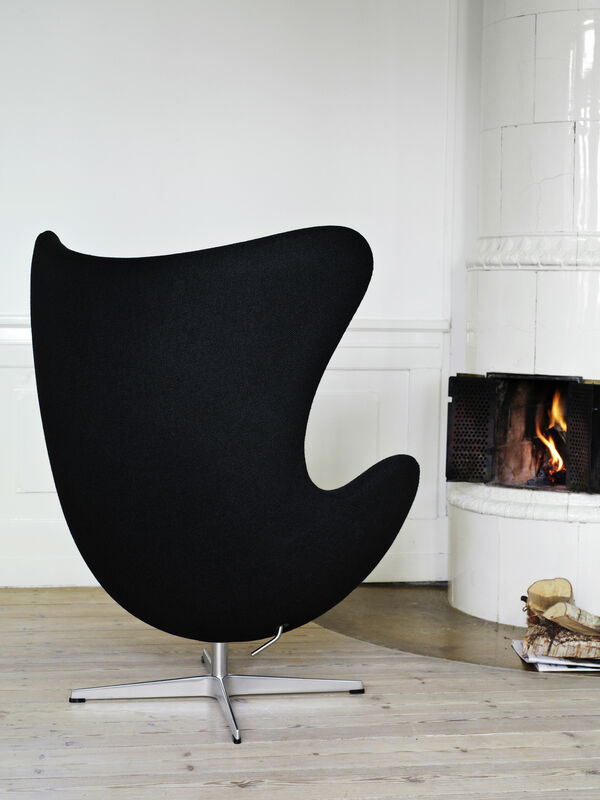 Arne Jacobsen designed the Egg™ for the lobby and reception areas in the Royal Hotel, in Copenhagen. 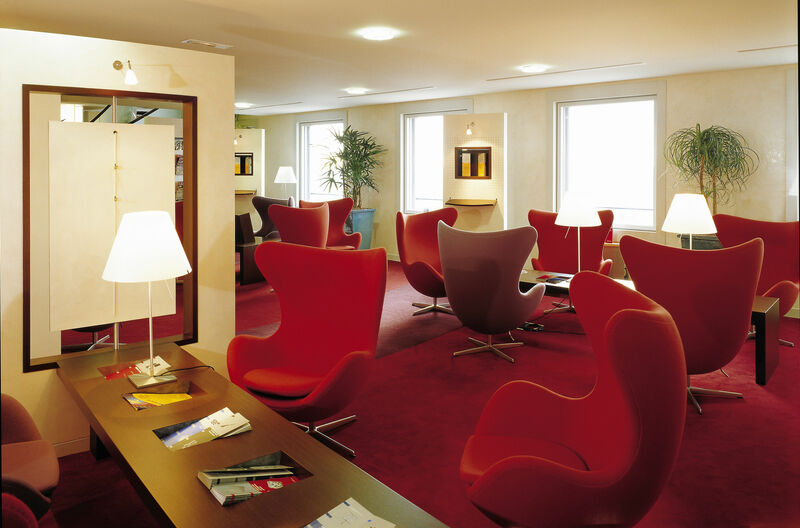 The commission to design every element of the hotel building as well as the furniture was Jacobsen's grand opportunity to put his theories of integrated design and architecture into practice. 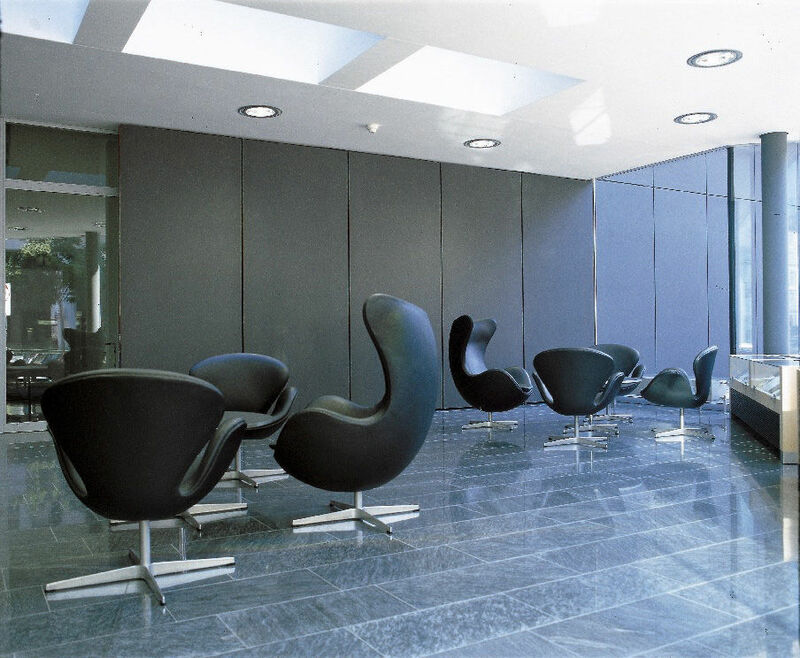 The Egg is one of the triumphs of Jacobsen's total design - a sculptural contrast to the building's almost exclusively vertical and horizontal surfaces. 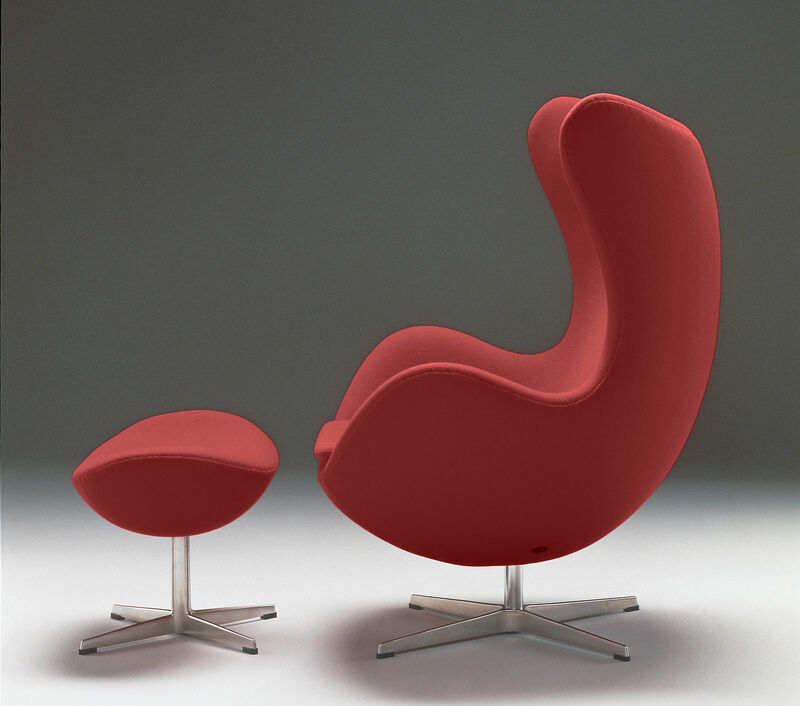 The Egg sprang from a new technique, which Jacobsen was the first to use : a strong foam inner shell underneath the upholstery. 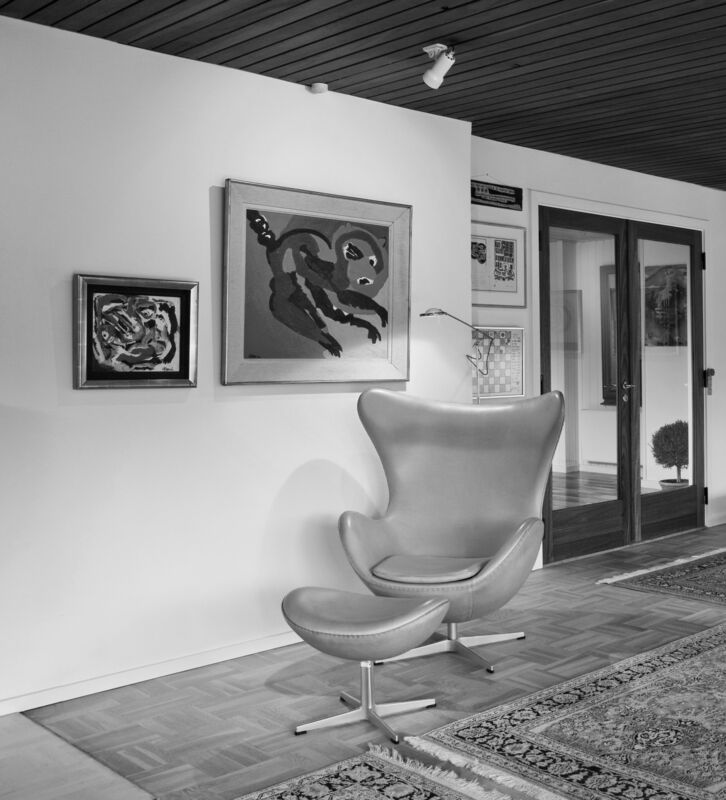 Like a sculptor, Jacobsen strove to find the shell's perfect shape in clay at home in his own garage. 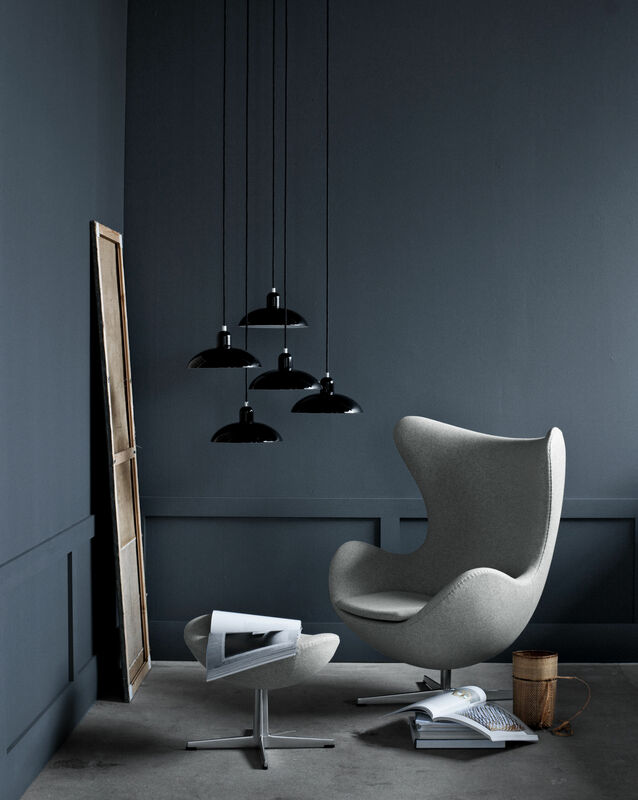 Because of the unique shape, the Egg guarantees a bit of privacy in otherwise public spaces and the Egg - with or without footstool - is ideal for lounge and waiting areas as well as the home. 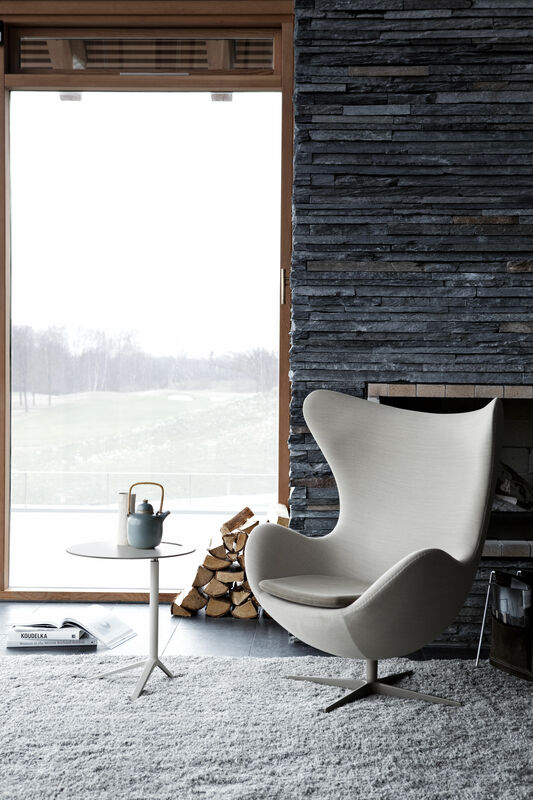 The Egg is available in a wide variety of fabric upholstery as well as leather, always combined with a star shaped base in satin polished aluminium.